It has been an extremely busy week. My quit date (smoking) actually began Tuesday night instead of Wednesday when I ran out of cigarettes. It's been 5+ days and so far things are going along pretty well. I haven't had too many cravings. My main problem is that I'm using the Commit lozenges and it takes so da-- long for these things to dissolve that I can't use anywhere near the recommended dose. If I did, I'd die of starvation or dehydration. It's takes me about 1 1/2 hours to get one of these things to melt completely and I'm supposed to use 1 every 1-2 hours. You can't drink for 15 minutes before or after, so that would leave me with absolutely no time for any type of nourishment!!! I'm finally getting around to posting the pictures of the finished Tilt. I had hoped to get my mom to model it but she had knee surgery on Friday. 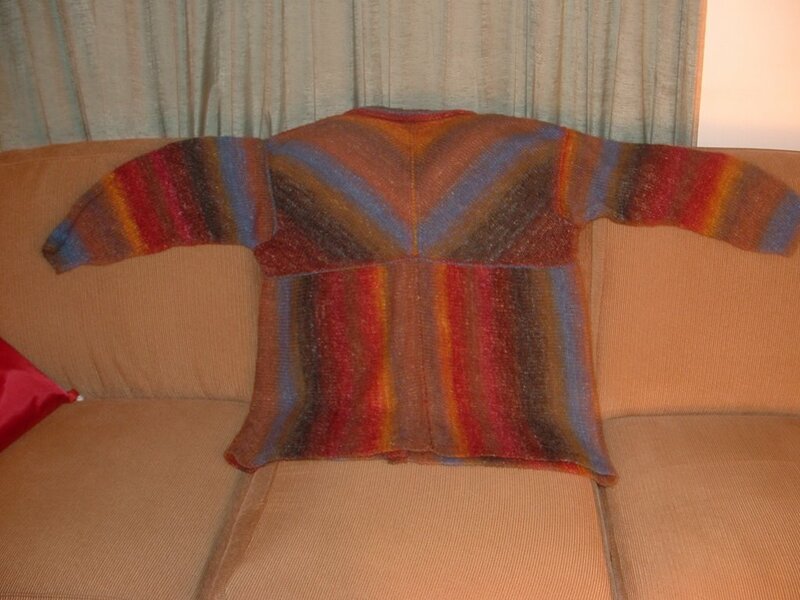 I used Noro Silk Garden color 234 and this sweater took approximately 14-15 skeins with all the color matching. 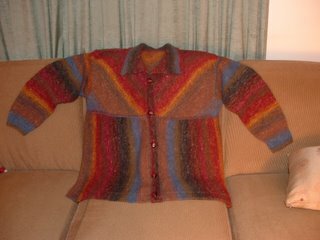 I also had to cut off about 3 inches on each sleeve and re-knit them down. 1. 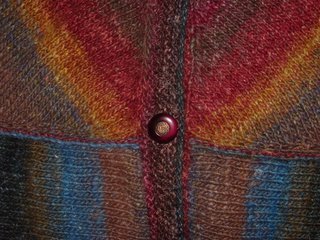 I picked up fewer stitches than the pattern called for on the 3-needle bind off for the collar, the yoke joining of the yoke to the back and the button bands. 2. The sleeves had to be eased in significantly once the bind off at the shoulders was completed on the front and back yokes. In order to pick up the 86 stitches needed for the bind off I had to start and end further into the underarm sections. Not sure if this was me or the pattern since I completed the charts correctly. 3. The left front yoke was slightly larger that right front yoke, but I was able to eliminate the difference with blocking and the pick up for the button band. The yarn is very light and drapey so I will have to see if it grows significantly when worn. 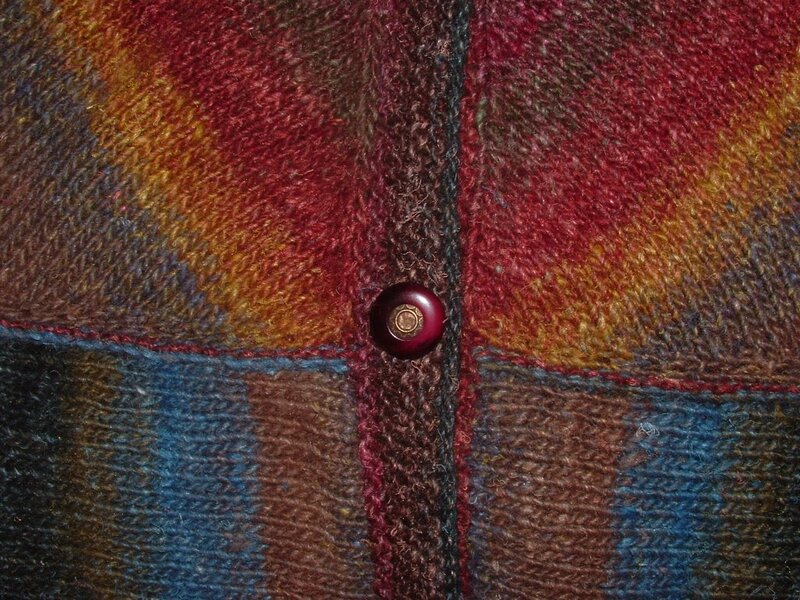 The cardigan is coming along nicely. 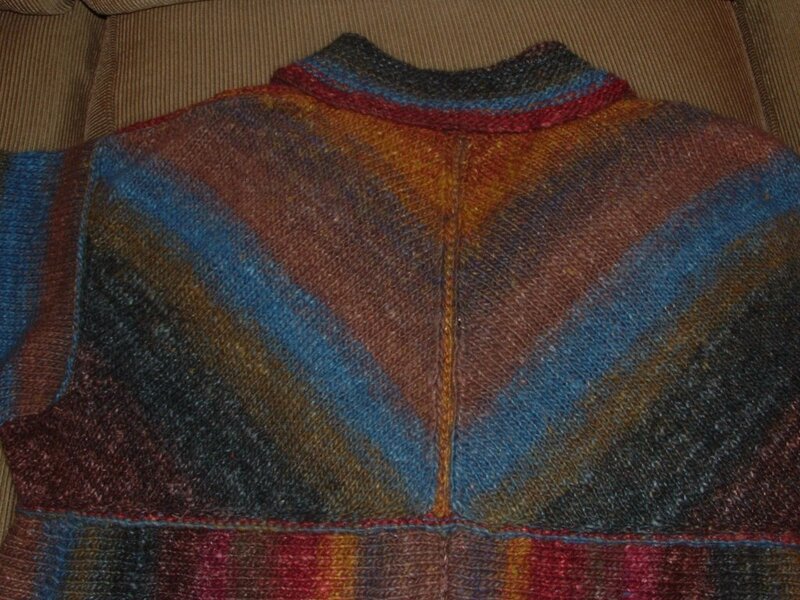 The back and right front are finished and I've started the raglan shaping on the left front. It's nothing fancy, just me stretching my legs to see if I can do it. Tilt is so amazing. You are a wonderful knitter. WOW. I cannot wait to see it being worn. Incredible, really . Who needs Olympics? You win, in my book! It looks great! The yarn matching was worth it. Tilt is gorgeous. 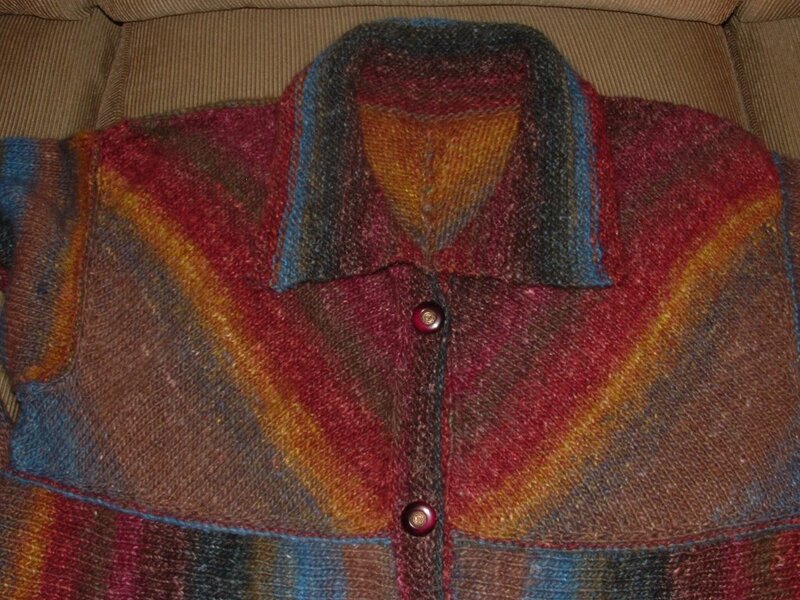 I have the autumnal looking color of Silk Garden, 85? don't think I am going to match stripes, with 12 skeins. I am intimidated by the Excel charts, having never used such before.